Literary Lindsey: It's Monday and it's a long weekend! I hope you find a copy. It was good (and a quick read, too)! I need to seek out Do Not Say and Born a Crime. Both look like books I'd enjoy. A Wrinkle in Time was a book that made me crazy about reading, but I've never read anything else by the author that I loved. I've only tried an autobiography and a sequel to WT, I think. I adore A Wrinkle in Time too. I find some of her books better than others, but I love the rest of the WIT quartet and her Katherine Forrester novels. These books look interesting. I hope you enjoy them! I have been eyeing Born a Crime. Glad you enjoyed it. Thanks for sharing...and have a great week. I thought last Monday was President's Day...but maybe both are celebrated? I hope you get a chance to pick it up. Come back and let me know what you think of it! All new to me titles... Off to check them out. And yes, reading in a hammock sounds pretty nice indeed! 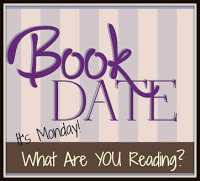 Happy reading, and have a great week! I want to read the Trevor Noah book soon. My grown kids have watched his show (I truthfully don't know anything about him). I do want to learn more about South Africa's history, though. Glad you had a fun weekend! I heard on the news that much of the country had milder weather, so crazy after the recent storms! Um, global warming, anyone?? Enjoy your books.. 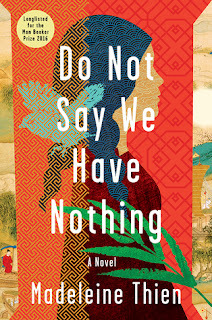 I had heard of Do Not Say We Have Nothing from my mother who was reading it with her book group, but then it slipped off my radar. 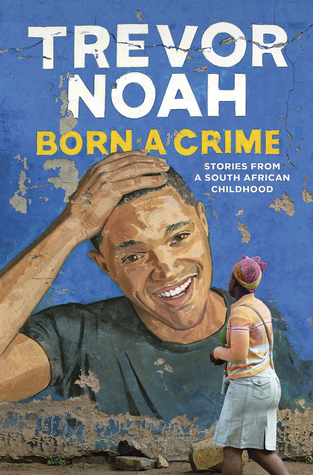 I hadn't heard of Trevor Noah before, but his book sounds good, too! Born A Crime has been everywhere lately. I’ve heard a lot of good things about it. Have a great week!